According to the findings of a new Pew Internet survey, adults are turning to the mobile web in numbers never before seen. The results of the survey are based on data collected via telephone interviews by Princeton Survey Research Associates International last spring with a sample of 2,252 adults ages 18 and older. Based on the survey’s findings, six in ten American adults are now deemed “wireless internet users,” with approximately 60% of all adult Americans going online wirelessly as of May 2010. Accessing the mobile web, however, is not limited to those who do so via cell phone. The survey also takes into account those who go online with a laptop using a wi-fi connection or mobile broadbandcard. 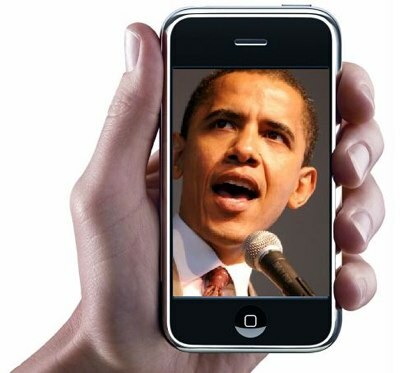 And while cell phone ownership “has remained stable” during the previous twelve month period, Pew has learned that mobile phone users are steadily growing more comfortable with a “much wider range” of their phones’ bells and whistles compared to last year at this time. 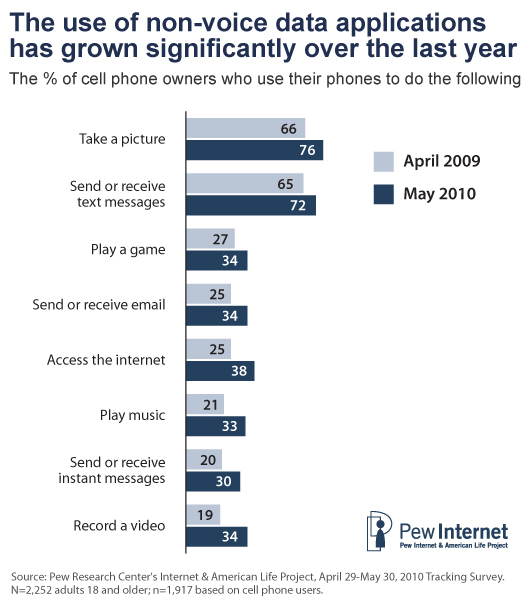 Among all cell phone owners, for example, 54% have used their mobile device to send someone a photo or video, and another 23% have accessed a social networking site using their phone. And even though mobile videos are only just becoming ubiquitous now, 20% have already used their phone to watch a video. Pew also noted that African-Americans and Latinos “continue to outpace whites” in their use of data applications on handheld devices.